Discover colours, shapes, numbers and opposites with this pack of beautiful flashcards. 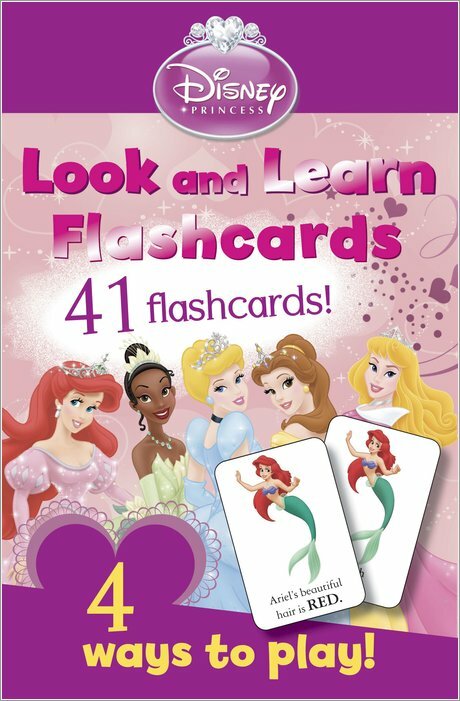 Let Aurora, Ariel and all their friends help you to learn in a truly magical way! Decorated with fantastic artwork from the Disney Princess series, these colourful cards introduce an array of essential skills in a way that will prove irresistible to any little girl. 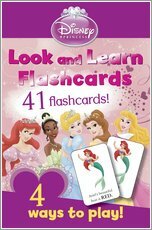 With 41 cards allowing four exciting ways to play, each focusing on a different learning area, they’re the perfect way to master all the things a little princess needs to know! 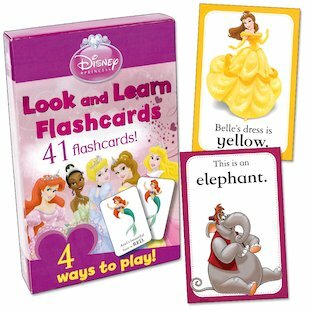 These cards have been developed with the support of an educational consultant and are ideal for early readers who are learning first concepts.